Just Romantic Suspense: What Compels You To Read Romantic Suspense? What Compels You To Read Romantic Suspense? Congratulations to 'Cris', the winner of Tori's giveaway! Thank you to all who participated. What compels you to read romantic suspense? For me, it's the high stakes involved. I started reading Nancy Drew when I was eight and read every single book as soon as it came out. Then it was Cherry Ames, Army Nurse. I graduated to Sandra Brown, Iris Johansen, Jude Deveraux, and Harlequin Intrigues. In between, while waiting for new releases, I read hundreds of straight romances, but I was always drawn back to romantic suspense. While I enjoy straight romance, there's just something about adding in that element of danger that ups the stakes for the hero and heroine, that makes the book less predictable, and in the hands of a master like Nora Roberts, Allison Brennan, Lisa Gardner, or Lisa Jackson, a genuine thrill ride. It keeps me turning pages late into the night and into the wee hours of the morning. When I first started writing, I wrote straight romance. But then suspense elements started to sneak into my books. I couldn't call them romantic suspense yet, but there was intrigue of some kind. 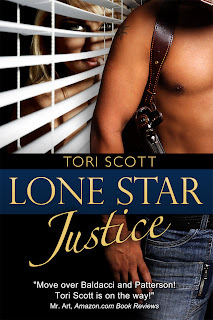 Finally, I started writing Lone Star Justice, my first true romantic suspense, and I found I loved writing it. I loved putting the heroine into situations that forced her to use her wits and to be an active part of solving the crime. I didn't want her to sit on the sidelines wringing her hands, waiting for the hero to save her. Sheriff, he promised there would be no repeats of the horrible day when his parents were murdered. Now Maddie is back, bringing trouble with her once again. And this time, she has a daughter. His daughter. All was eerily quiet and still, and Maddie tried to shake off the foreboding that stole over her. You're being silly. Nothing is wrong. Anne just forgot her court date or something. She wouldn't have left town without letting you know where she was going, no matter how scared she was. The house looked empty. Anne's car wasn't in the driveway, but she might have parked it in the garage if she was spooked. Maddie grabbed a flashlight from the glove box and stepped out of the car, slamming the door hard enough to announce her presence. No one came outside to see who had come to visit. No one peeked through the curtains. No dogs barked a warning. She stepped onto the wide front porch and cupped her hands around her eyes, trying in vain to see through the sheer curtains covering the bay window. There was no sound of a television or radio, no footsteps echoing from within the house. No sign of life. Maddie opened the screen and knocked on the door, hard enough to bruise her knuckles. She waited, and waited. No one answered. She knocked again, then a third time. Feeling like a too-stupid-to-live character in a B movie, she tried the doorknob--and breathed a sigh of relief when she discovered it was locked. So that was that. Anne wasn't home. All she could do was wait until she called again. As Maddie rounded the front of her vehicle, she glanced toward the backyard. A flash of white in the trees drew her closer. She really didn't want to go back there. But what if Anne was in trouble? She couldn't just walk away and leave her friend. At least call for backup. Oh, great. She definitely needed to lay off the cop shows. Her imagination had always been her downfall. Maybe she should have been a novelist instead of a judge. She wasn't planning to chase any bad guys down the street. All she needed to do was make sure the back yard was empty, that the flash of white was nothing more than a grocery bag caught on a branch, and then she'd head straight home and call everyone she knew who might know where Anne had gone. If that didn't bring any results, she'd call the police and turn in a missing persons report. Shining the light into the trees, she saw what looked like a dress hung out to dry. That made no sense. Anne wouldn't hang her dress in the trees. Maddie wished she'd called the cops before coming back here alone, but what would she tell them anyway? She had to deal with them every day, and she didn't want them to think she was weak or scared. But right now she'd give almost anything to have one of them at her side. She took a deep breath and opened the gate, stepping into the dimly lit yard. She used the flashlight to make sure no one was hiding nearby, then moved closer to the trees. What she saw stopped her in her tracks. Then she lost her lunch all over her brand new Gucci sandals. Do you remember the first romantic suspense you read? Or the one that got you hooked on the genre? Comment below and tell us how you got hooked on romantic suspense. 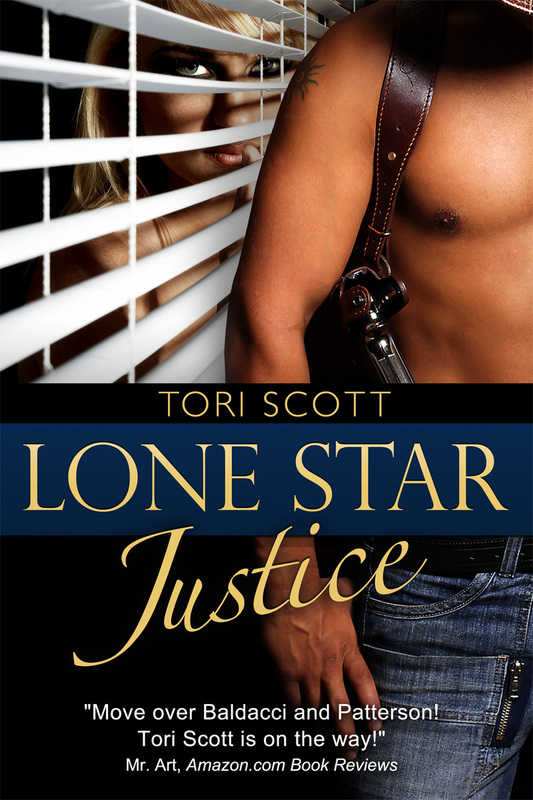 I'll give away a digital copy of Lone Star Justice to one lucky commenter. Giveaway ends 10pm EST April 8th. Please supply your email in the post. You may use spaces or full text for security. (ex. jsmith at gmail dot com) If you do not wish to supply your email, or have trouble posting, please email justromanticsuspense @ gmail.com with a subject title of JRS GIVEAWAY to be entered in the current giveaway. Thank you, Tracy! I see you're a night owl like me. Either that or you're overseas. Thanks for stopping by! A note from me: When I signed up for this blog date, I didn't realize it was Easter Sunday. We can blame my age, the fact that I work from home and don't always know what day it is, or the fact that I no longer have children at home, but I will be gone until this afternoon, traveling to see my grandchildren and attend church with them. I promise I will catch up on comments this evening, and I may be able to check in on my phone during the day. I hope everyone has a wonderful day with friends and family. I feel like we must be close in age as we started with the same books. For me, Nancy Drew and Cherry Ames were big. Must say I loved the Bobsey Twins too. Do you remember them? Our path to reading Romantic Suspense is very similar and now with ebooks and an iPad, I continue to find great reads that I never would have known about. For example, I had not heard about Lone Star Justice but it is definitely on my radar now. Happy Easter! I started with Nancy Drew books as well. I also read The Hardy Boys. I love mysteries and romance, so Romantic Suspense is one of my favorites. For me I started off reading James Patterson thrillers, and through Amazon recommendations it started opening more alike authors. I was not much of a reader as a kid, but remember a few Nancy Drew and Hardy boys books... It took me until the end of high school before I enjoyed reading. Catherine Coulter's FBI series was what grabbed my attention for the suspense genre. I like the romance and mystery involved in the story. Of course, I read them for the HEA and the justice has been served. I never did like it when the guilty party gets away with murder or when the hero/heroine died. I would be screaming where is Justice and HEA ending. I've only recently discovered Romantic Suspense and LOVE IT! I was always the type to read historical romance or just a sweet HEA. But now that I am getting older (ugh) I find my tastes have changed and I really like a book that holds my attention, has twists and turns but still the romance of it all. My first true Romantic Suspense was Pamela Clare's Extreme Exposure. I've since read so many authors it would be hard to list them. I love Roxanne St Claire, Kylie Bran, Cindy Gerard and many more. Ironically, I added Lone Star Justice to my nook wishlist just this week because it came recommended from B&N. It was one of those suggestions, 'since you bought this, you might like this.' Looking forward to reading this book! Thanks for the comments, everyone! Sorry to be MIA most of the day, but we drove up to watch our grandsons being baptized and it was well worth the trip on only an hour and a half of sleep. I loved reading your stories of how you got hooked on Romantic Suspense. If you're looking for really great RS, and you haven't already tried them, be sure to read TR Ragan, Trish McCallan, Trish Milburn, Allison Brennan, and Kathy Bennett. Not only are they great writers, they are genuinely nice ladies you would love if you met them. I always read romance but didn't try out anything with much suspense until a family member told me to try the Stephanie Plum series. I thought that was a good transition. I went on to JD Robb (quite the jump from Janet Evanovich) and now I read a lot of authors I find on Just Romantic Suspense. When I do read a book that is a contemporary romance while the story is "nice" I find that it is missing something. I didn't like how anxious the suspense books made me feel at first, but found the Happy Ever After ending was so much better when you had a wide variety of emotions for the characters throughout the book. Now I am hooked! I look forward to looking up your books to add to my list in the future. I read many a crime novel/mystery as a kid (especially by one Dame Agatha Christie), but no Nancy Drew. My first foray into romance wasn't until I was in middle school, when a friend lent me Julie Garwood's The Secret and Ransom. Incidentally, Ransom remains one of my favourite romances of all time-- and, after favouring historicals for many years, JG's Heartbreaker was probably my first introduction to RS. Several years after it was published, haha. Now I read mostly RS (of the 'dark' and 'lighter' persuasions) with an occasional foray into contemporary to lighten things up. Nothing tops the thrill of the sense of danger, the twists, and the evilness of the villains that populate RS-- and seeing justice served and the HEA, of course :). I'm always hard-pressed to put a RS book down: I want to know what happens next! I definitely admit to many an all-nighter because I couldn't put a book down-- good thing I'm young enough to function in lab on zero sleep :-). I lived for the Dark Shadows novels and in many ways, those were romantic suspense novels. It was The Da Vinci Code by Dan Brown. I grew up reading Nancy Drew and the Hardy Boys. I remember reading my sister's copies of Mary Stewart and Helen MacInnes. Congratulations, Cris, on winning the free copy of Lone Star Justice! I'll be sending you an email in just a minute. Thanks so much to all of you who stopped by today. I'll be back on June 2nd and hope to see you again then. I started with Nancy Drew as well. I think it's the element of danger, the waiting with bated breath, afraid and needing to know what will happen next.